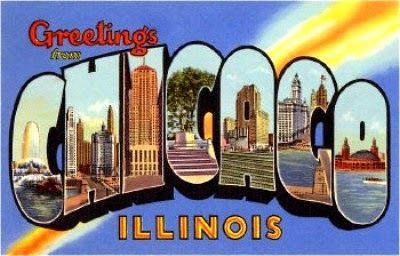 Home / Uncategories / Feature and Follow: I love Chicago!! Feature and Follow: I love Chicago!! I don't participate in #FF that much anymore. Simply because I forget to get my act together. When I saw this was the question this week of course I had to gush about my city. I know I'm a weirdo. What is the biggest city you live near (or interesting landmark)? Show us a postcard picture. I'm actually going to be spending in the weekend in the city for Lollapalooza. My husband are going to get our listen on for a bunch of different bands. I grew up living close to the city in the burbs and allow though I'm not keen of moving closer to get the zip code on my mailing labels. (My husband works in the city and wants to move there. I'm all about the schools and such so I like the burbs) I couldn't imagine living anywhere else. There is just so much to do and it's not just in the city itself but the Chicagoland area has so many great and fun things to do. Yes there is crime and corrupt politicians (it's called the windy city because of politicians blowing in and out) but it's rich with culture. Kind of a melting pot. So be excited for BEA to be moving here my friends. I hope you love my city as much as I do. I'm from Chicago, too! I'm an existing follower.